Another day. Another hilarious plate approved by the DMV. 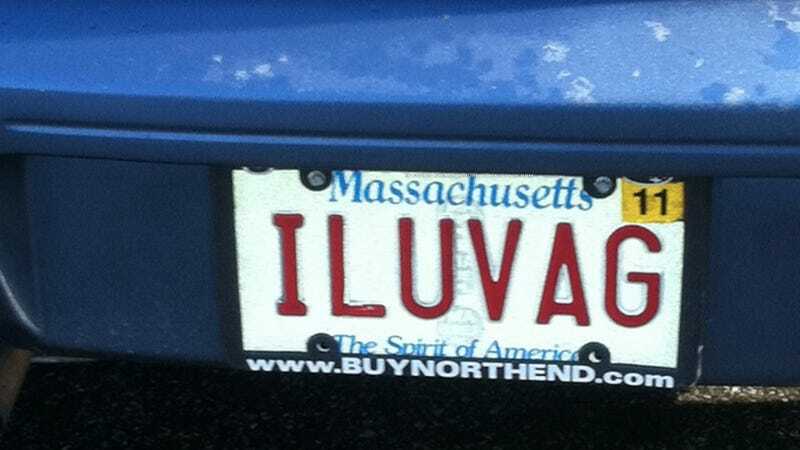 This time we're in lovely Massachusetts where the beers are cold, the accents are funny, and the Subaru drivers "LUVAG." It doesn't take much to read between the lines here, but we decided to ask the tipster who took this photo to describe the Subie owner. What we heard back was she was a "very masculine young lady" who was walking towards our photographer with a "strange look in her eye." Maybe she also loves PEN 15?